There are a lot of giveaways on Facebook this week. Check out the list below and see if you can win something. Make sure you are at the site at the specified time for the best chance to win. Good luck! 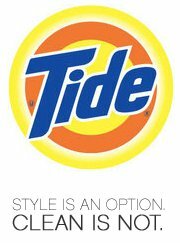 Tide on Facebook is giving away 25,000 free Tide Stain Release Samples everyday through June 23. Today’s giveaway is at Noon EST (10 a.m. MST). If you haven’t had a chance to grab one yet, you’ll have a good chance of getting one this week. On the first day of summer, June 21 at 12 p.m. EST (10 a.m. MST), the first 100,000 eligible Nestle Drumstick fans to sign-up on the “Raise a Cone” tab will get a coupon for a free cone in the mail. UP2U on Facebook is giving away 1,000 free packs of gum at 12 p.m. EST (10 a.m. MST). Tide will be giving out 25,000 free Tide Stain Release Samples. This is the last day UP2U will give out 1,000 free packs of gum. This is the last day Tide will give out 25,000 free Tide Stain Release Samples. Downy will be giving away 2,579 free samples of its 6 load size bottles of Ultra Downy April Fresh at 11 a.m. EST (9 a.m. MST). Bounty on Facebook will be giving away $5 Bounty coupons to the first 5,000 fans who request it. They don’t specify a time, so you have to keep on eye on the Bounty Facebook page. This will be the last day they are doing this giveaway.